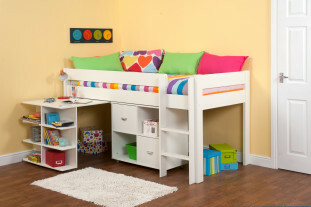 A lovely bunk bed with 2 under bed drawers which will look superb in your bedroom. 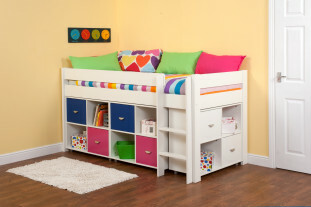 With it’s timeless appearance, colourful end panel detailing and contemporary design this bed will last throughout the years to come and is perfect for all ages. 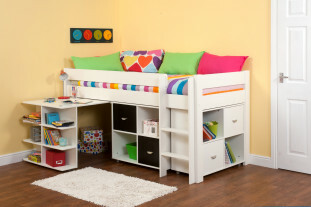 As part of the Flexa Nordic building system this bed can adapt with your child’s growth and change into 2 single beds, mid sleepers or high sleepers.